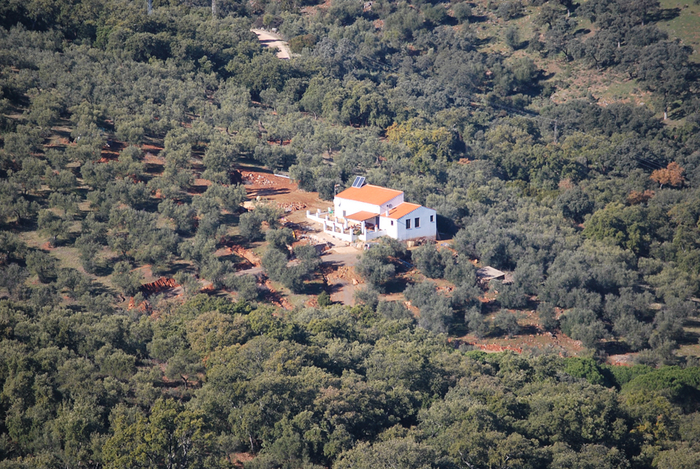 This large farmhouse, newly constructed in 2006 , is situated on an organic Olive and cork farm. 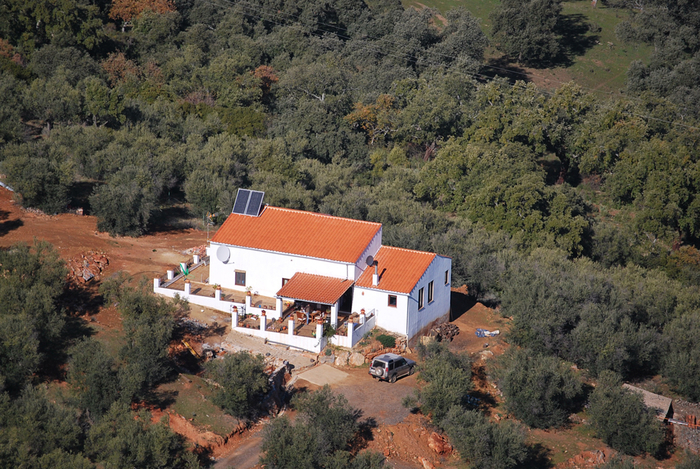 Using top specification insulating materials making the house much more comfortable than most other farmhouses in the area. 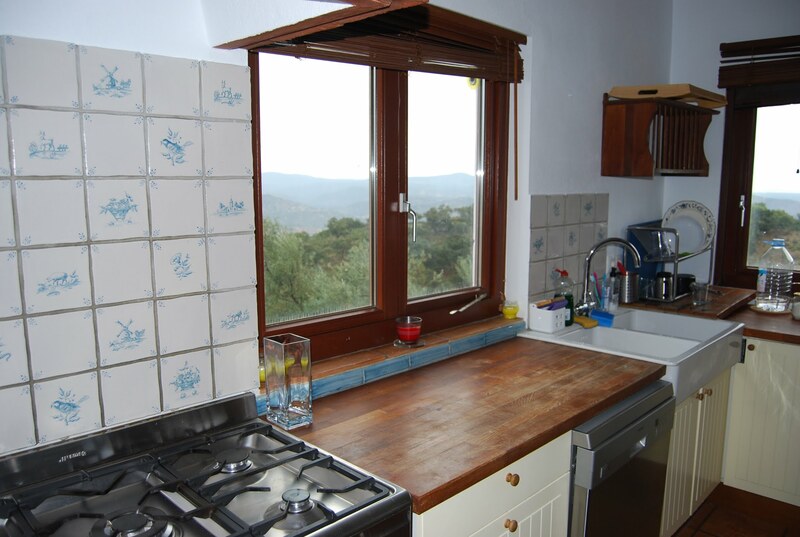 Imported German triple glazed windows. 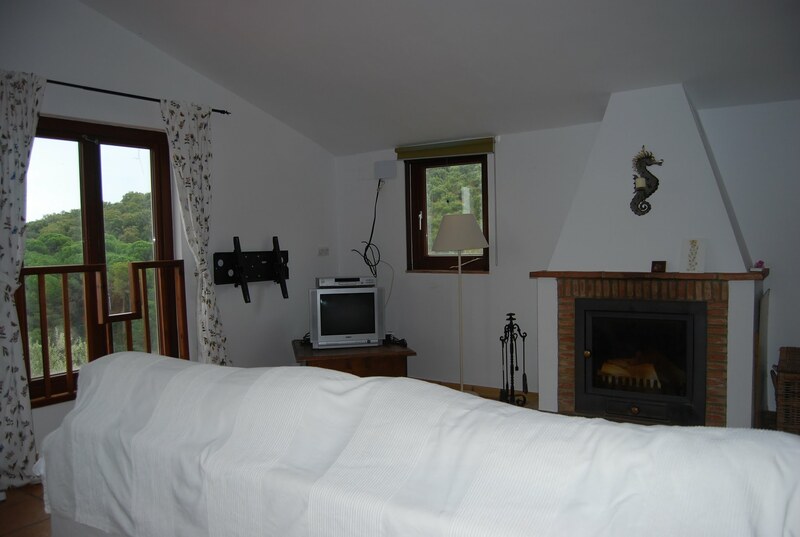 With solar water heating, wood burning fireplace and underfloor heating. 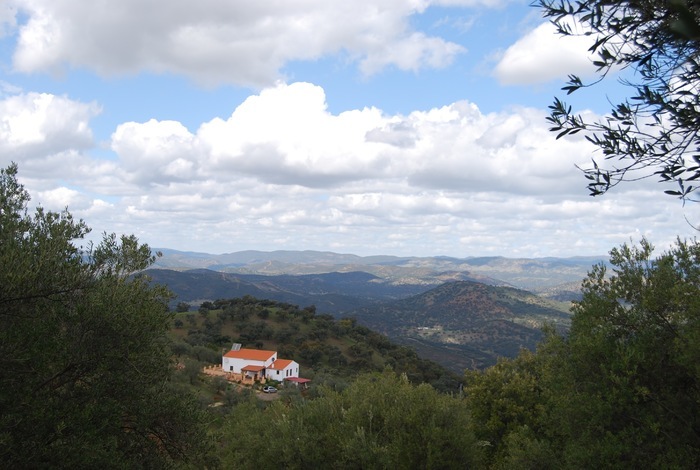 Own spring water supply from a borehole. 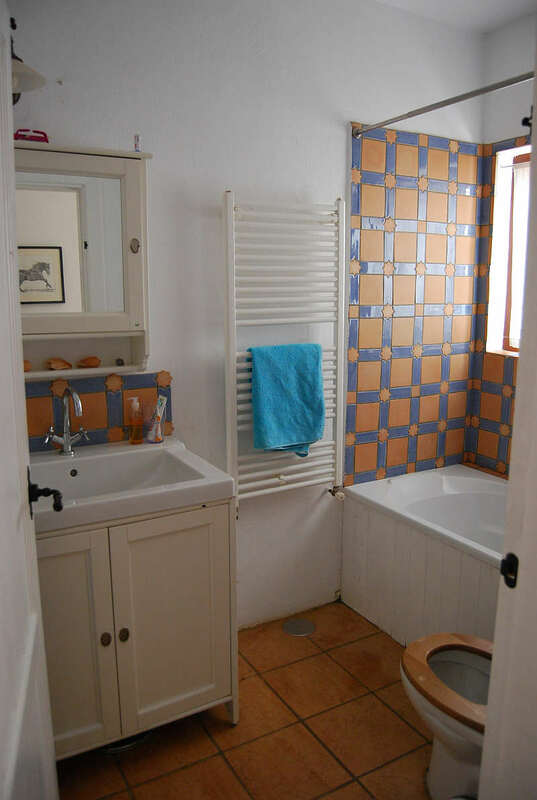 The house has 4 bedrooms, 3 bathrooms including a self contained annexe. 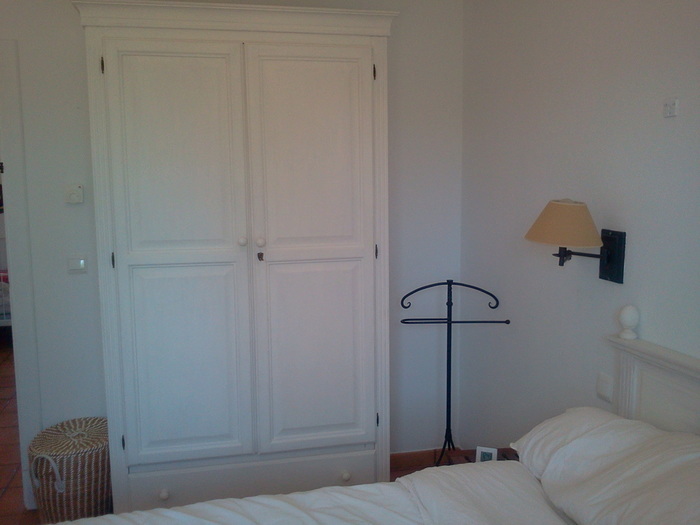 There is a semi completed space in the attic which is ready to fit out for a further 2/3 rooms. 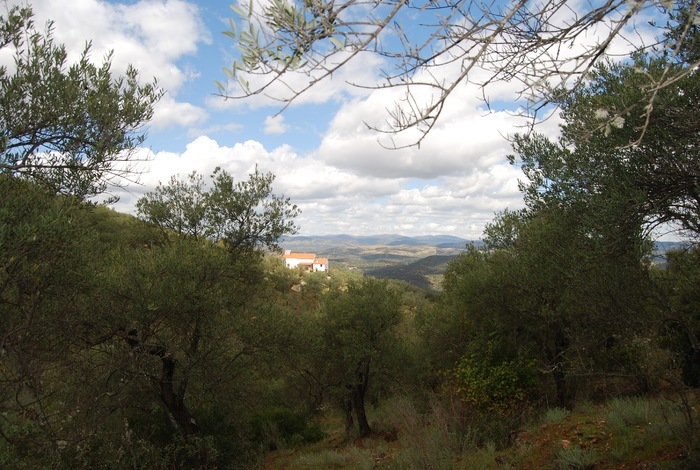 Stunning views of the Sierra from all rooms and surrounding patio. 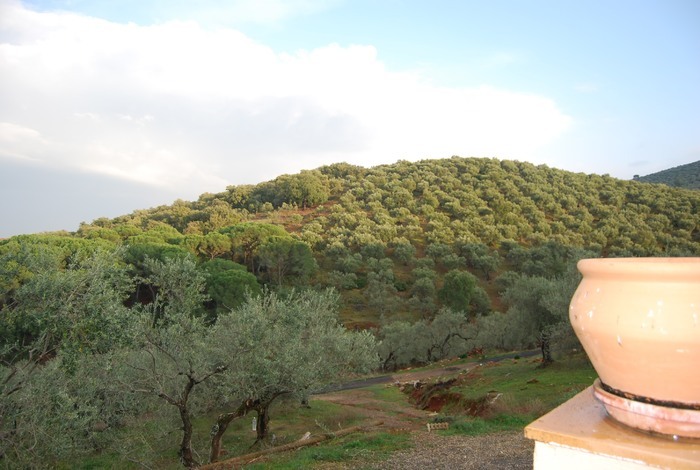 One hour from Seville airport. 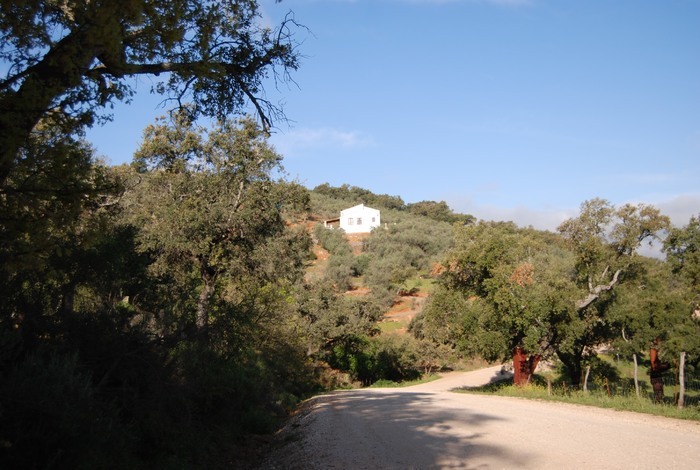 This hillside farmhouse just outside of the picturesque village of Zufre, sits within a 32acre organic olive grove. 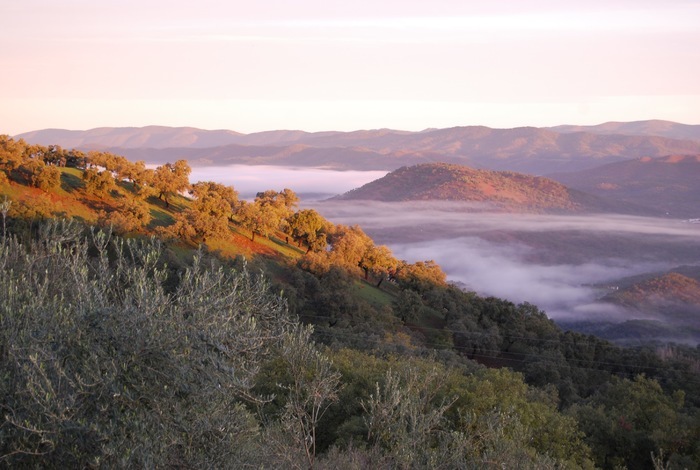 The land consists of 4 acres of cork oak trees and 1500 olive trees. 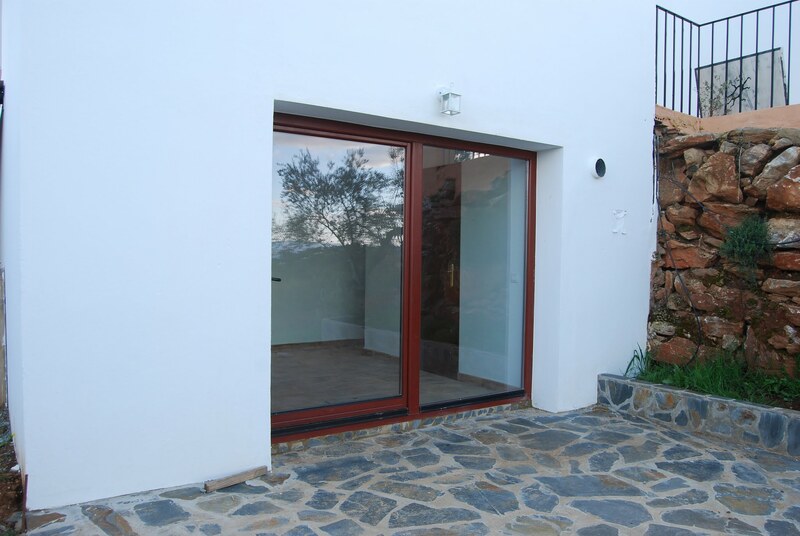 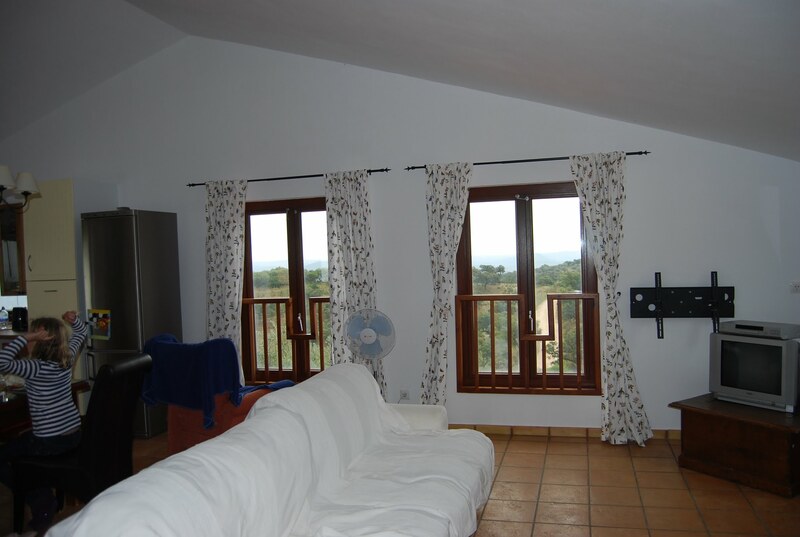 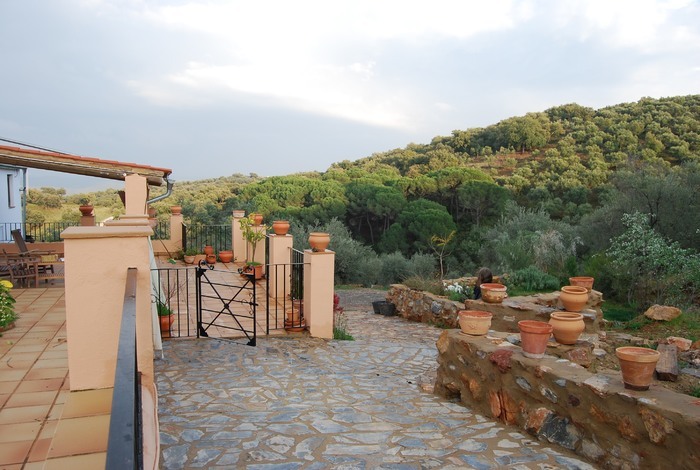 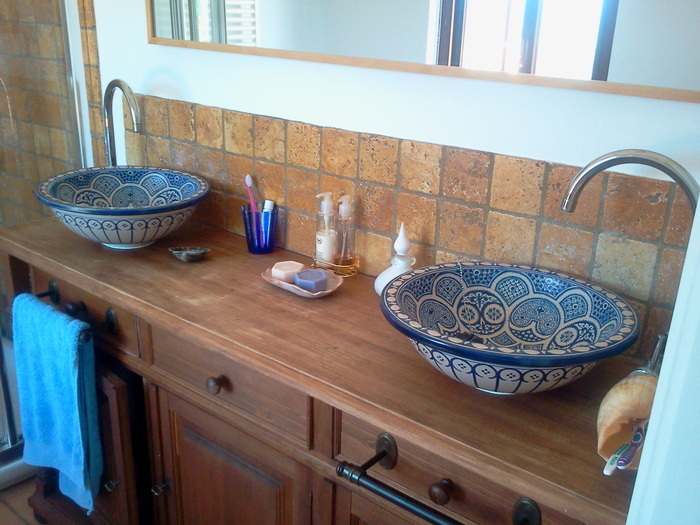 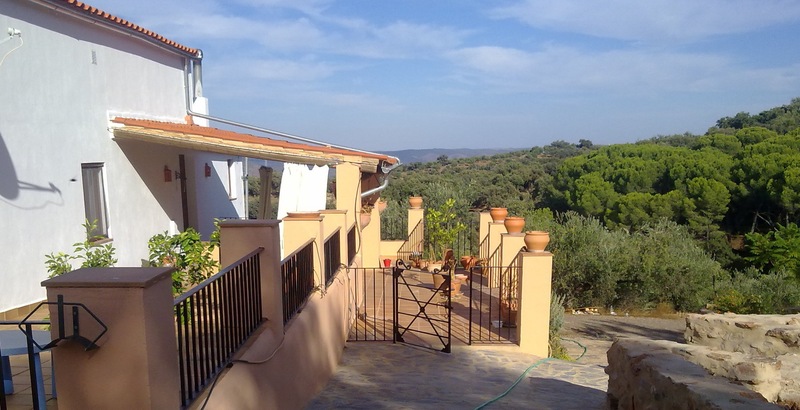 The property comes with 2 shares of the local organic olive oil mill co-operative in Zufre. 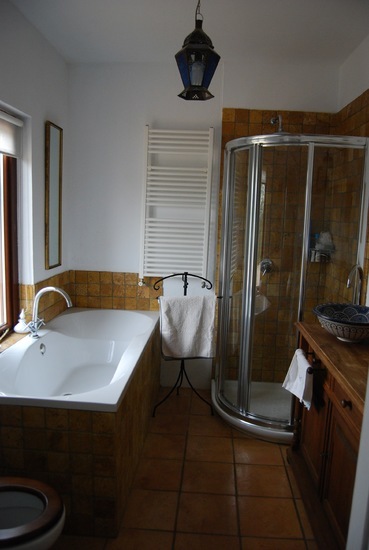 The house is fully equipped and an ideal haven for an escape from it all! 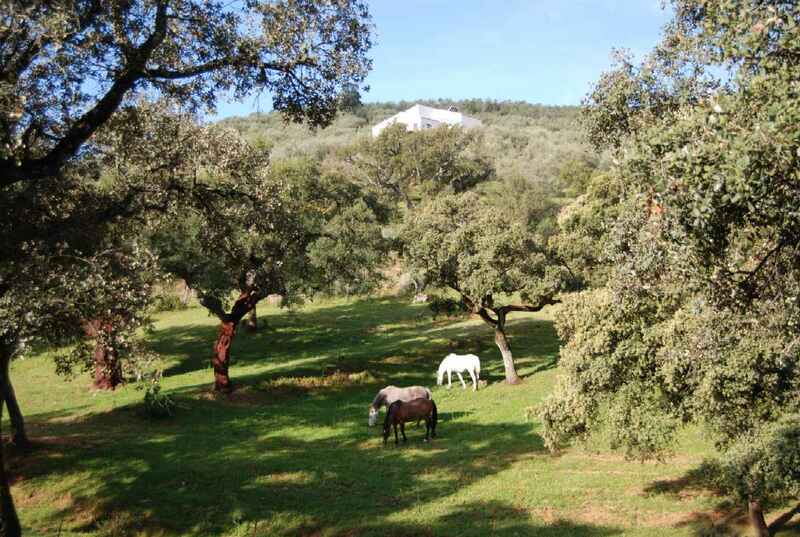 Perfect for walking, birdwatching, horseriding and enjoying the best of Spanish food. 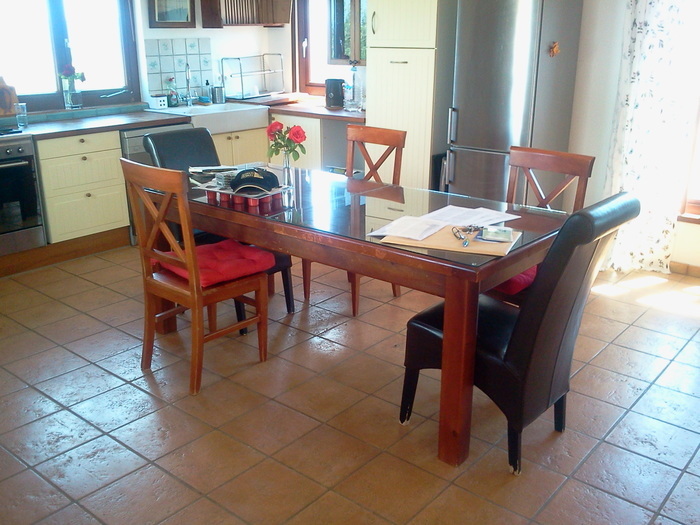 Fully furnished house. 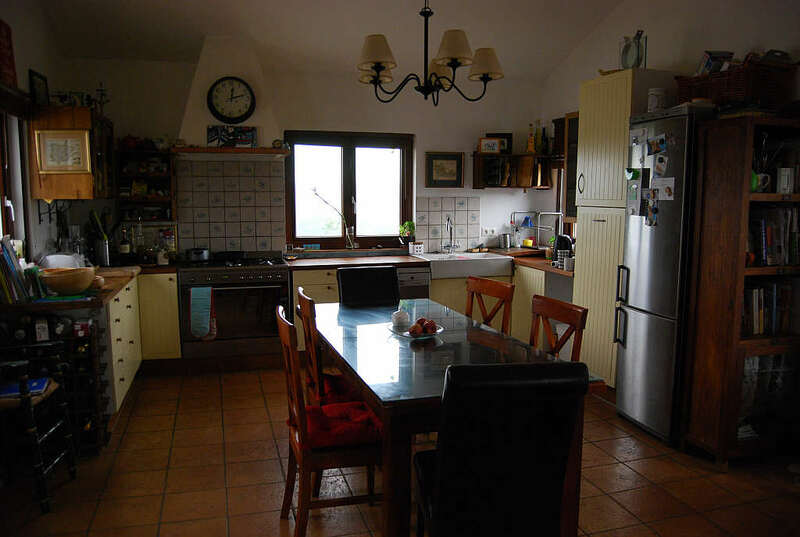 Smeg gas Cooker, Siemens fridge. 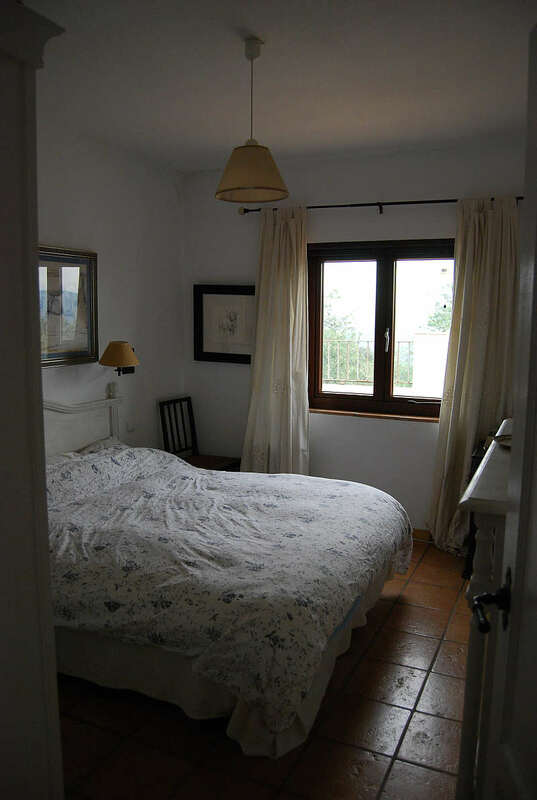 All rooms have beds and bedding.